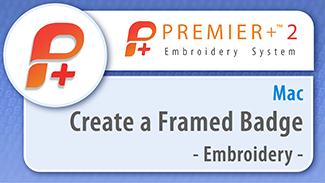 Place a frame and lettering around an embroidery. 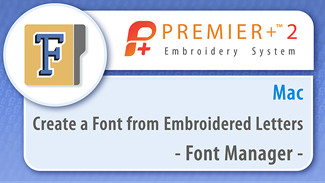 Create a Font by loading your own embroidered letters with Import Font From Embroideries in the PREMIER+™2 Embroidery System. Use the Handles menu to adjust the settings for the selected block of lettering. 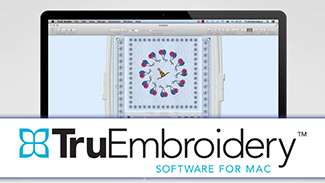 Repeat designs automatically with Encore.